Dr. Bilu Martin believes in a natural, conservative look that does not appear to be "done" or "overdone." She understands that both surface changes in the skin, and remodeling of fat and bone contribute to the aging process, and that both need to be addressed. She designs and personalizes a unique combination of treatments, including: neurotoxins, fillers, peels, lasers, and skin care regimens to achieve a beautiful, healthy appearance for each patient. Aquagold Fine Needle Microtouch is a device in which a combination of neurotoxin and hyaluronic acid is delivered into the skin through hollow 24 karat needles. The result is rejuvenated, glowing skin with an improvement in the appearance of fine lines, pores, texture, and scarring. To learn more about how Aquagold can improve your appearance, call to schedule your consultation with Dr. Bilu Martin at (305) 521-8971. Botox is made from a purified protein, and is commonly injected to soften lines caused by muscle movement. It improves frown lines, forehead lines, crow's feet, nose wrinkles (bunny lines), a gummy smile, smoker's lines around the mouth, a pebbly chin, a downturned mouth, and neck lines. The result is a soft, natural appearance-- not a frozen face. Botox can also be injected into the underarms to stop excessive sweating for up to 6 months! To learn more about how Botox can improve your appearance, call to schedule your consultation with Dr. Bilu Martin at (305) 521-8971. Like Botox, Dysport is made from a purified protein, and is commonly injected to soften lines caused by muscle movement. It can be injected to improve frown lines, forehead lines, crow's feet, nose wrinkles (bunny lines), a gummy smile, smoker's lines around the mouth, a pebbly chin, a downturned mouth, and neck lines. The result is a soft, natural appearance-- not a frozen face. To learn more about how Dysport can improve your appearance, call to schedule your consultation with Dr. Bilu Martin at (305) 521-8971. Juvederm is a filler made of hyaluronic acid, a natural sugar found in the body. It can be injected to soften lines and wrinkles around the mouth (nasolabial folds), improve undereye hollows, fill marionette lines at the corners of the mouth, subtly enhance cheeks, for lip shaping and enhancement, to plump up earlobes that have deflated, improve acne scars, and to rejuvenate hands. The result is a soft, natural, more youthful appearance. To learn more about if Juvederm is right for you, call to schedule your consultation with Dr. Bilu Martin at (305) 521-8971. Voluma is a filler made of hyaluronic acid, a natural sugar found in the body. It can be injected to enhance the midface and replace volume lost as a result of bone and fat atrophy over time. Restoring and lifting the cheeks to their previous state improves the lines and wrinkles around the mouth (nasolabial folds) and a sagging jawline. The result is a soft, natural, more youthful appearance. To learn more about if Voluma is right for you, call to schedule your consultation with Dr. Bilu Martin at (305) 521-8971. Volbella is new to the Allergan filler family. It is a filler made of hyaluronic acid, a natural sugar found in the body, and is especially wonderful in the lips. It lasts longer than other similar fillers: up to 1 year in the lips. To learn if Volbella is right for you, call to schedule your consultation with Dr. Bilu Martin at (305) 521-8971. Vollure is the newest addition to the Allergan filler family. It is a filler made of hyaluronic acid, a natural sugar found in the body, and is especially wonderful in the lower face, including marionette lines and nasolabial folds. It lasts longer than other similar fillers: up to 18 months. To learn if Vollure is right for you, call to schedule your consultation with Dr. Bilu Martin at (305) 521-8971. Restylane is a filler made of hyaluronic acid, a natural sugar found in the body. It can be injected to soften lines and wrinkles around the mouth (nasolabial folds), improve undereye hollows, fill marionette lines at the corners of the mouth, subtly enhance cheeks, for lip shaping and enhancement, to plump up earlobes that have deflated, improve acne scars, and to rejuvenate hands. The result is a soft, natural, more youthful appearance. To learn more about if Restylane is right for you, call to schedule your consultation with Dr. Bilu Martin at (305) 521-8971. Restylane Lyft is a filler made of hyaluronic acid, a natural sugar found in the body. It can be injected to soften lines and wrinkles around the mouth (nasolabial folds), fill marionette lines at the corners of the mouth, subtly enhance cheeks, to plump up earlobes that have deflated, and to rejuvenate hands. The result is a soft, natural, more youthful appearance. To learn more about if Restylane Lyft is right for you, call to schedule your consultation with Dr. Bilu Martin at (305) 521-8971. Sculptra is composed of poly-L-lactic acid and works by stimulating collagen synthesis and improving volume loss. It can be injected into the temples, midface, and lower face in 2-3 sessions, spaced about 6-8 weeks apart. Sculptra is a great choice for those who want subtle, natural results that occur over time. To learn more about if Sculptra is right for you, call to schedule your consultation with Dr. Bilu Martin at (305) 521-8971. Novathreads are absorbable PDO threads, made of the same material used during skin surgery. During this non-surgical, non-invasive treatment, threads are strategically placed under the skin to lift sagging or loose skin. The threads and mesh stimulate collagen production, resulting in a natural, beautiful look. To learn more about if Novathreads are right for you, call to schedule an appointment with Dr. Bilu Martin at (305) 521-8971. Kybella is the first and only FDA-approved injectable to treat moderate to severe fullness beneath the chin (so called "double chin"). Kybella is injected over a number of monthly sessions. To learn more about if Kybella is right for you, call to schedule an appointment with Dr. Bilu Martin at (305) 521-8971. Chemical peels are treatments in which acids and other preparations are applied to gently remove the superficial layers of the skin, resulting in a brighter appearance, with minimal to no downtime. Regular peels can improve dark spots, fine lines, acne breakouts, and scarring. The following peels are offered at Premier Dermatology, MD: salicylic acid, glycolic acid, lactic acid, Miami Peel, and Vi Peel. To learn more about chemical peels, call to schedule your consultation with Dr. Bilu Martin at (305) 521-8971. Acne scars are visible depressions in the skin secondary to previous breakouts. They can be treated with a variety of methods, including subcision (where a needle is inserted under the scar to lift it up), peels, and fillers such as hyaluronic acid and liquid injectable silicone. A combination of treatments is often used. To learn more about treating acne scars, call to schedule your consultation with Dr. Bilu Martin at (305) 521-8971. Sclerotherapy is a procedure in which small varicose veins and spider veins are injected with a solution to cause them to sclerose, or shut down and lighten or disappear. An FDA-approved solution called Asclera is injected into the veins with tiny needles, with minimal to no discomfort. Usually 3-4 treatments are performed about a month apart, although individual cases may vary. To learn more about sclerotherapy, call to schedule your consultation with Dr. Bilu Martin at (305) 521-8971. Utilizing her years of experience with multiple laser platforms, Dr. Bilu Martin hand selected the Palomar Icon Aesthetic System for Premier Dermatology, MD. This advanced, state-of-the-art system can provide treatments for facial vessels, pigment, surgical scars, acne scars, wrinkle reduction, tightening, and toning, with very little to no downtime. Multiple treatments may be required. To learn more about laser and light treatments, call to schedule your consultation with Dr. Bilu Martin at (305) 521-8971. The use of PRP for facial rejuvenation is new in cosmetic dermatology. Blood is taken, spun in a centrifuge, and the PRP is separated from red blood cells. PRP is then either injected into the skin in a series of treatments or used topically following laser treatments to stimulate collagen formation. PRP contains growth factors and has been used in areas of medicine for wound healing. Please note these treatments are considered "off-label" as they are not approved by the FDA. For more information, please schedule your consultation with Dr. Bilu Martin at (305) 521-8971. The appearance of benign lesions, such as benign moles, skin tags, and cysts can be unsightly or bothersome. Dr. Bilu Martin can remove such lesions in the office with a small amount of local anesthesia and minimal to no discomfort. Although there is always the risk of a scar, lesions are removed with the utmost care and the cosmetic appearance in mind, and scars are usually very minimal. To learn more about the cosmetic removal of lesions, call to schedule your consultation with Dr. Bilu Martin at (305) 521-8971. Small facial veins and broken blood vessels (called spider telangiectasias) on the face can be effectively treated in the office with a simple procedure called electrodessication, or with the Palomar Icon Aesthetic Laser Platform with minimal to no discomfort. Vessels usually respond in a single treatment, but may occasionally require a second treatment. To learn more about the treatment of facial veins and broken blood vessels, call to schedule your consultation with Dr. Bilu Martin at (305) 521-8971. 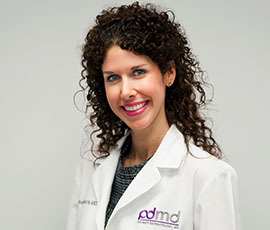 Dr. Bilu Martin has carefully hand selected the products at Premier Dermatology, MD, to ensure that only those with scientific data and proven results are offered. With your individual needs in mind, she will tailor a regimen to use at home for optimal results and healthy glowing skin. For a personalized skin care regimen, call to schedule your consultation with Dr. Bilu Martin at (305) 521-8971. 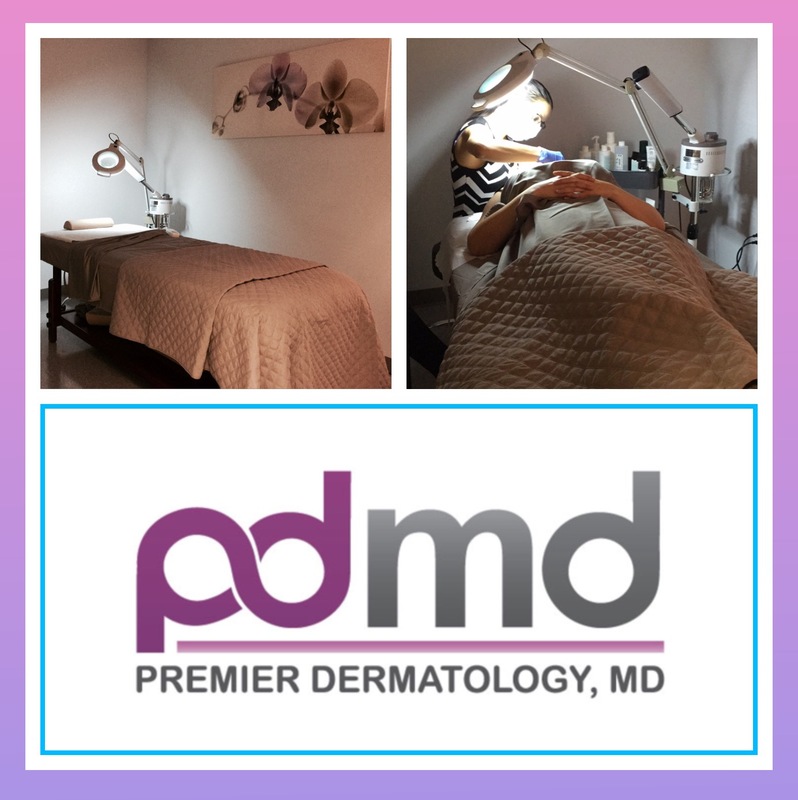 Premier Dermatology, MD is pleased to offer a variety of facials with our highly trained aesthetician, Krystal, to pamper and soothe your skin: pdmd Signature European Facial, Deep Cleaning Facial, Acne Treatment, Anti-aging Facial, Mini Facial, chemical peels.